Ole Man River is on the rampage! The giant Mississippi funnels a lot of water from the midsection of the country down through Louisiana and out into the Gulf of Mexico. And with the overabundance of rain during the past few weeks, many homes, cars, roads and bridges have been damaged or destroyed. And lives were also lost. I know, Tim’s a boy, but you know, they just get the best individual they can who can bring passion to the part. 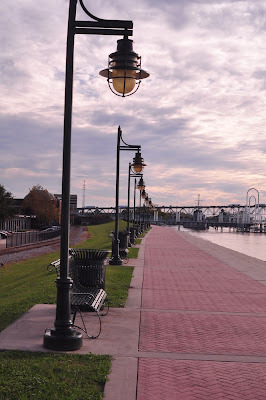 We arrived in the city early and decided to take a walk along the riverfront next to the downtown area. There’s a paved walkway that covers a mile or more on the levee that protects the town. The levee is dotted by street lights with occasional benches for resting and enjoying the scenery. The river at the time seemed to be at peace. But what began happening farther to the north didn’t bode well for everyone in its path. Afternoon walkers stroll along levee at Baton Rouge, La. And that story continues to unfold as the surging waters head further south.